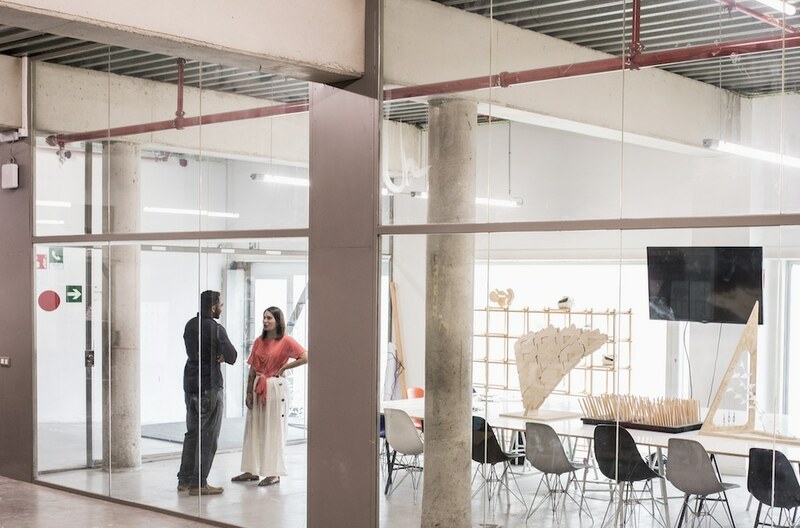 The Institute for Advanced Architecture of Catalonia is located in the Poblenou neighbourhood of Barcelona, in the recently created district known as [email protected], a focus for companies and institutions oriented toward the knowledge society. The neighbourhood is close to the historic centre, the seafront, the Plaça de les Glòries and the Sagrera APT station, making it one of the most dynamics enclaves in the city. 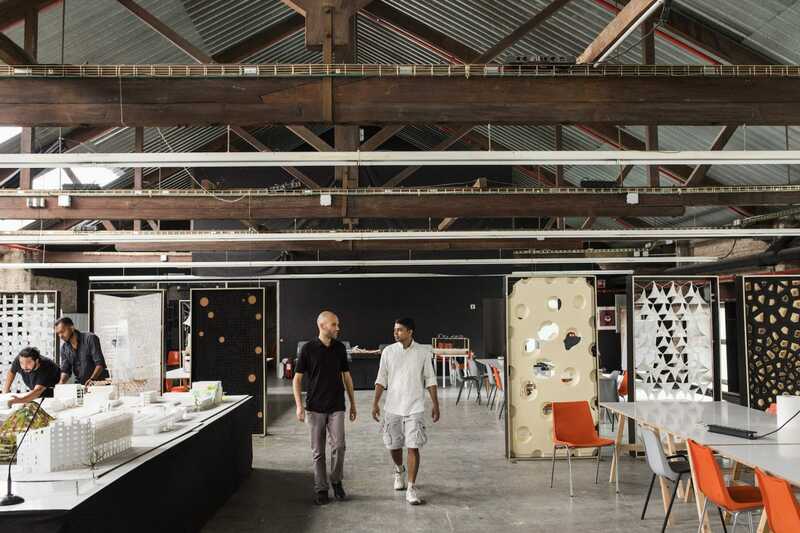 IAAC is housed in an old factory building, with 2,000 m2 of space for research, production and dissemination of architecture, so that space itself is a declaration of principles, embodying an experimental and productive approach to architecture. 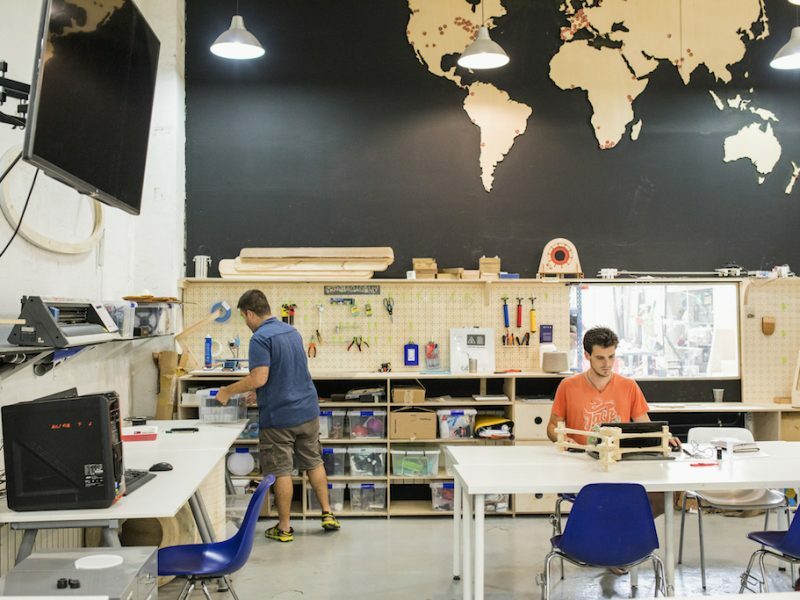 The IAAC premises include the Fab Lab Barcelona, an architecture and design-oriented fabrication laboratory which is part of the global network of Fab Labs set up by The Center for Bits and Atoms at MIT. 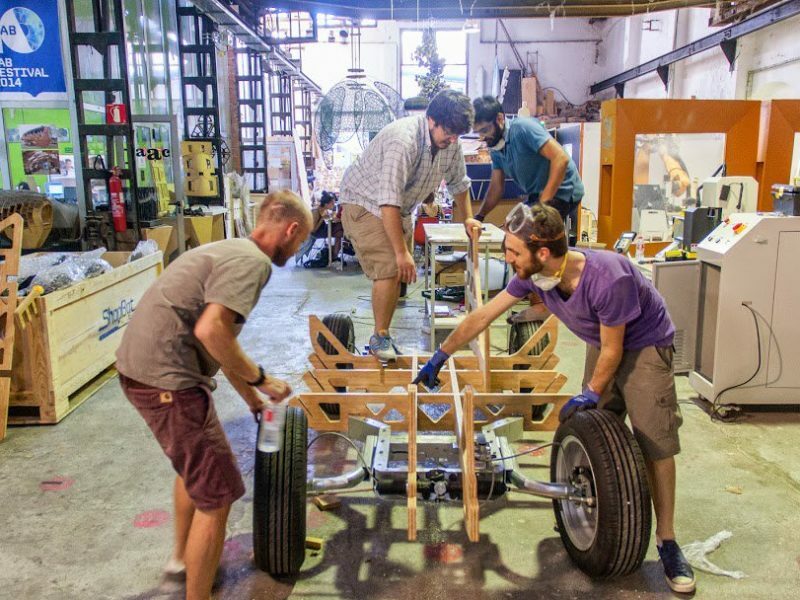 The Green Fab Lab, hosted in IAAC’s forest campus at Valldaura Labs, is also part of the same global network, a fabrication laboratory this time oriented towards self-sufficient and productive solutions. 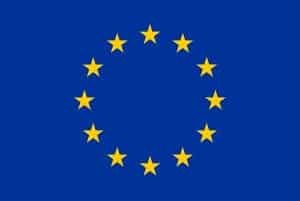 The Institute is engaged in a variety of research projects as well as workshops and courses, and special summer workshops, open to Spanish and international firms and institutions. 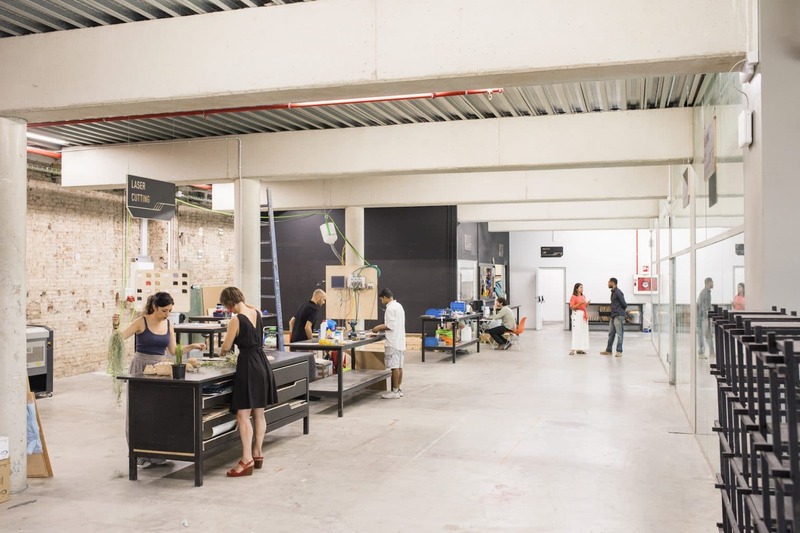 One of the most emblematic spaces inside IAAC is our main hall, where most of the courses and workshops take place, and which also acts as an auditorium due to its good acoustics and open space. The auditorium seats up to 200 people and is home to the IAAC Lecture Series: a free cultural event open to the public of Barcelona. Students have access to the studios and workspaces of our centre seven days a week. The Institute’s office hours are Monday to Friday from 9:00 – 18:00h in both the academic and administrative departments, which remain closed in public holidays. 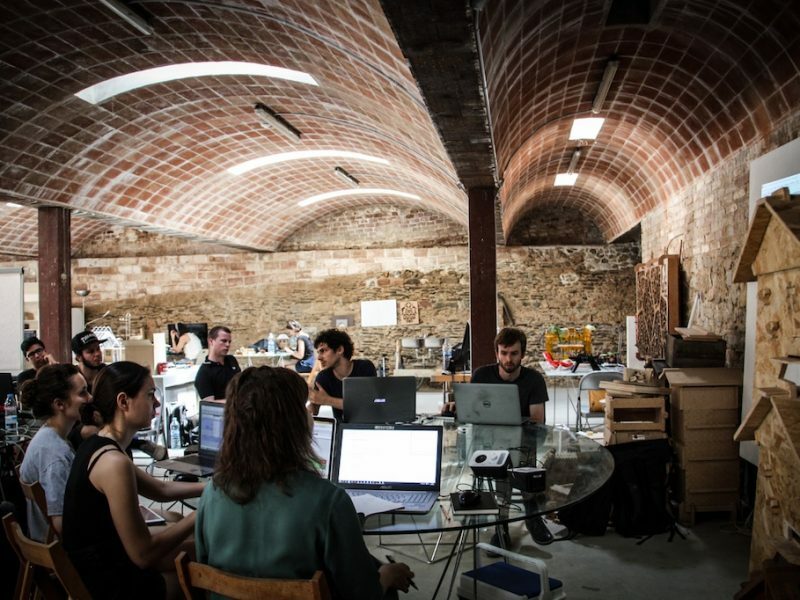 Fab Lab Barcelona is part of the Institute for Advanced Architecture of Catalonia, where it supports different educational and research programmes related to the multiple scales of the human habitat. It is also the headquarters of the global coordination of the Fab Academy programme in collaboration with the Fab Foundation and the MIT’s Center for Bits and Atoms: the Fab Academy is a distributed platform of education and research in which each Fab Lab operates as a classroom and the planet as the campus of the largest University in construction in the world, where students learn about the principles, applications and implications of digital manufacturing technology. 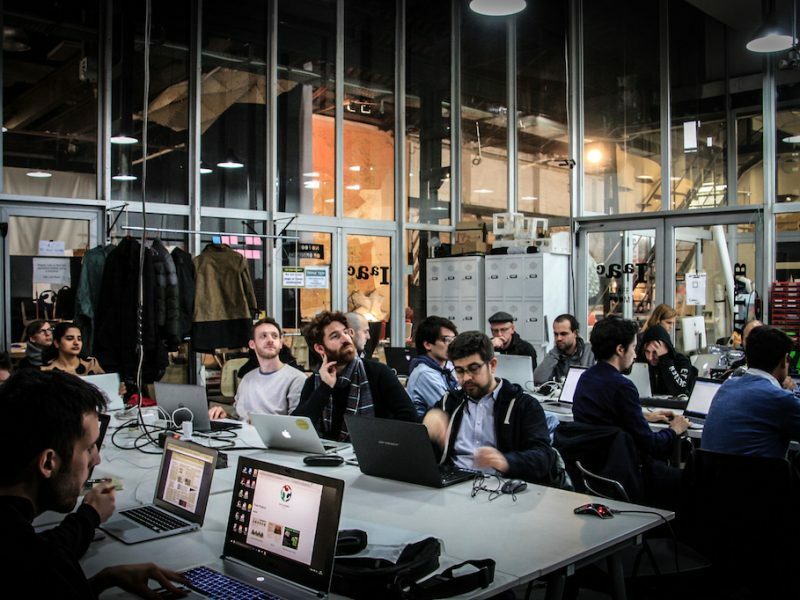 This is the first Fab Lab and the largest one in the European Union. 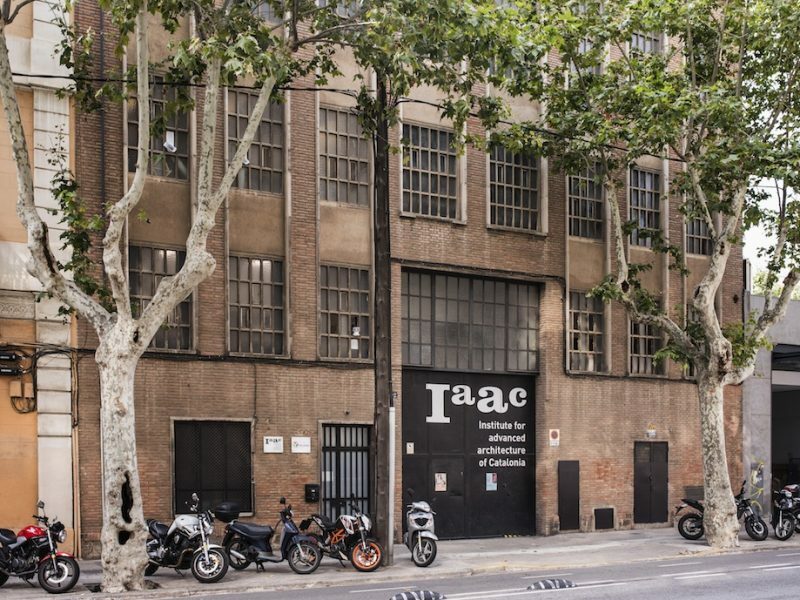 IAAC Atelier is part of our campus in the Poblenou district of Barcelona. 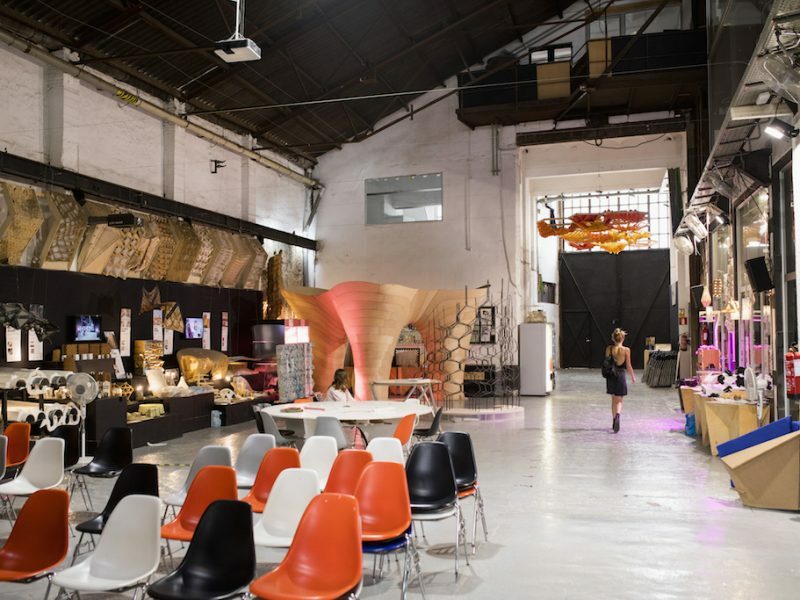 Located in Carrer Pujades 59, this space is an old industrial building of roughly 2,000 square meters, recently refurbished, designed for the enjoyment of students, wherein they can develop their individual and team projects. 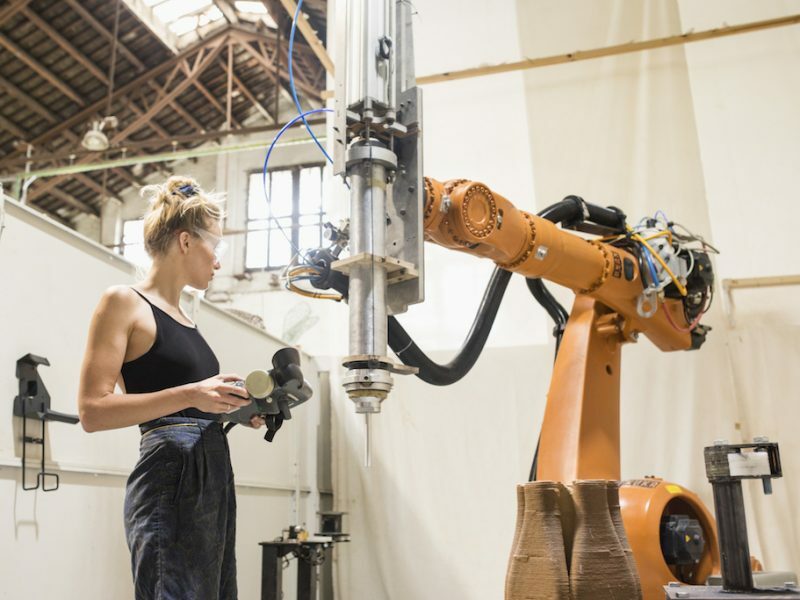 The Institute’s Atelier is a spacious building in which students have access to digital manufacturing technology with the assistance of in-house experts as well as a place where they can produce and exhibit their studios and seminars research. 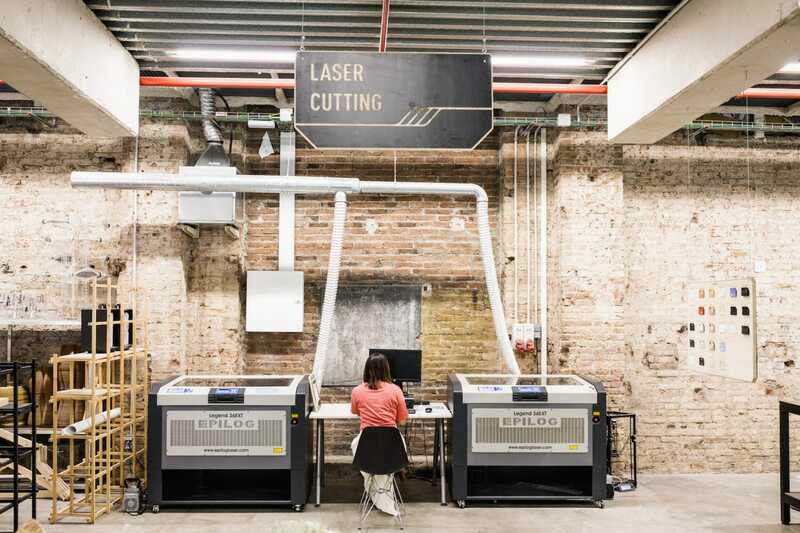 The Master Lab is a Digital Fabrication facility entirely dedicated to the IAAC Master Students, allowing full access to milling, laser cutting, 3D printing, Robotic arms, a Bio Matter Lab, a VR/AR Lab and an Electronics Lab, as well as traditional fabrication equipment. 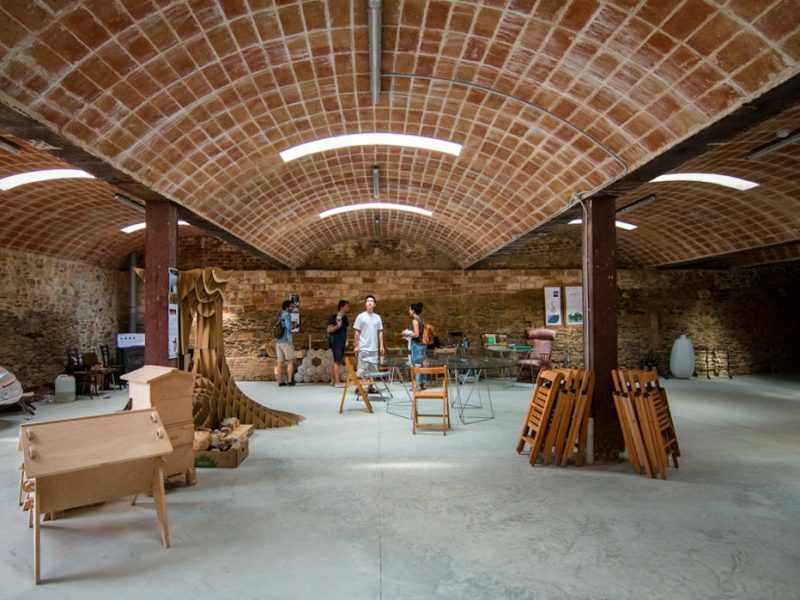 Valldaura is IAAC’s second campus located in Collserola Park, the natural centre of the metropolitan area of Barcelona. Valldaura campus is a large park and testing ground for innovation that features the latest technologies in the fields of energy, information and fabrication. 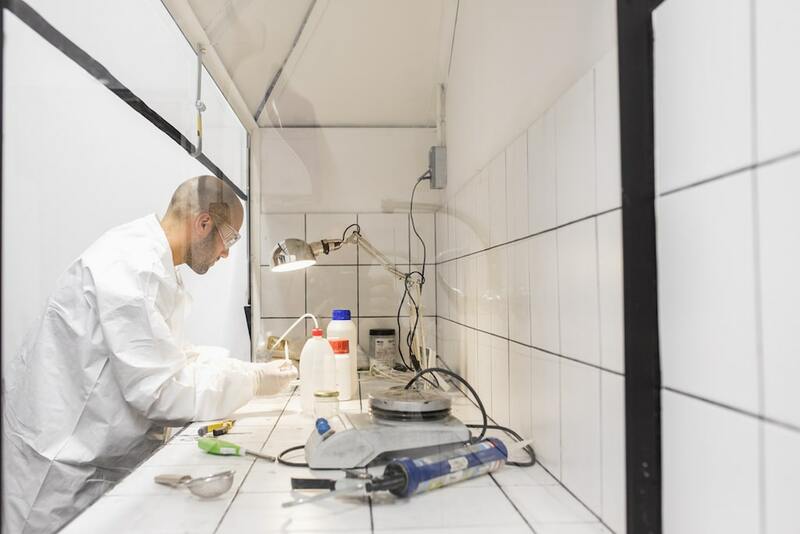 The core of this innovative project developed by IAAC is a laboratory to implement investigation and set a new benchmark for self-sufficiency. 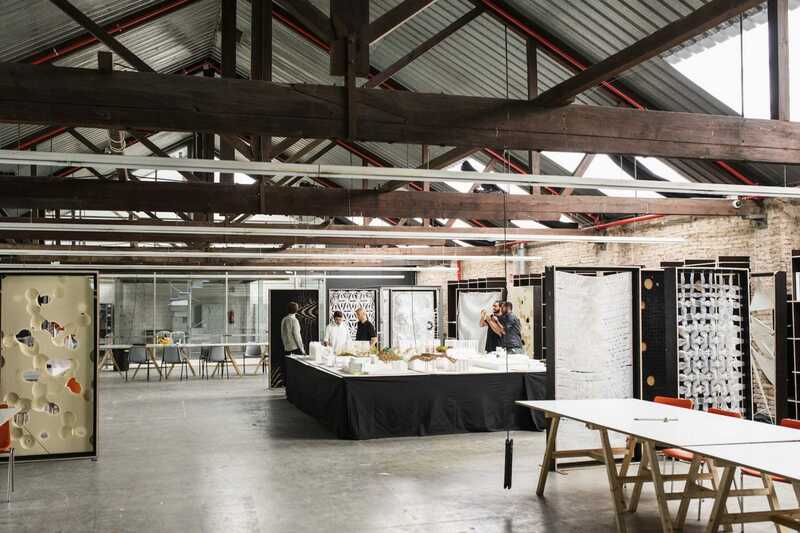 The Valldaura Self Sufficient Labs express a new concept for sustainability established by IAAC. Its aim is to create a sustainable, consciously designed ecology using both cutting edge technology and traditional craftsmanship. The Valldaura Self Sufficient labs and its three Laboratories, Food Lab, Energy Lab and Green Fab Lab; allow to research the specificities of the production of key elements involved in self-sufficiency: food, energy and things, combining ancestral knowledge that connects us to nature with the latest advanced technology. 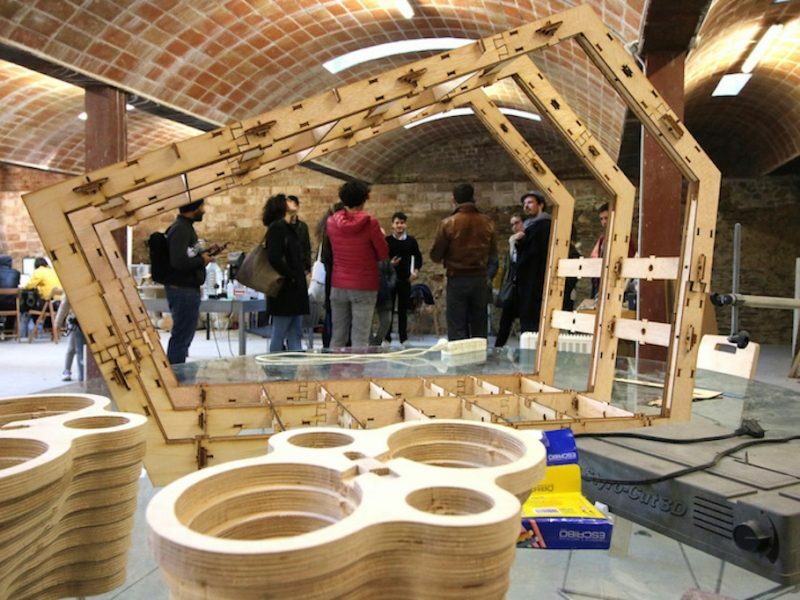 The Green Fab Lab, hosted in IAAC’s forest campus in the Valldaura Labs, is also part of the Fab Lab Network, a fabrication laboratory this time oriented towards self sufficient and productive solutions. 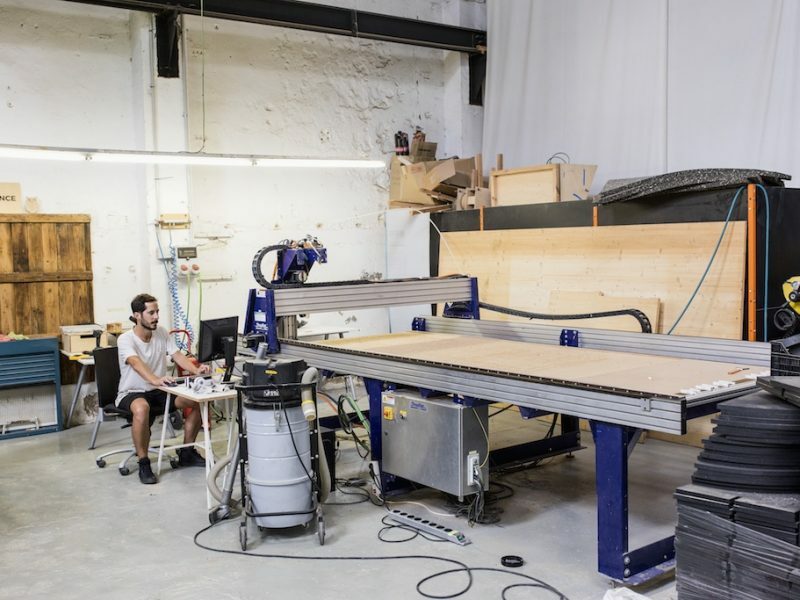 As a part of the FabLab network, the Green Fab Lab works towards the creation of a self-sufficient habitat and research centre at Valldaura Self-sufficient Labs, one of IAAC’s campus locations. 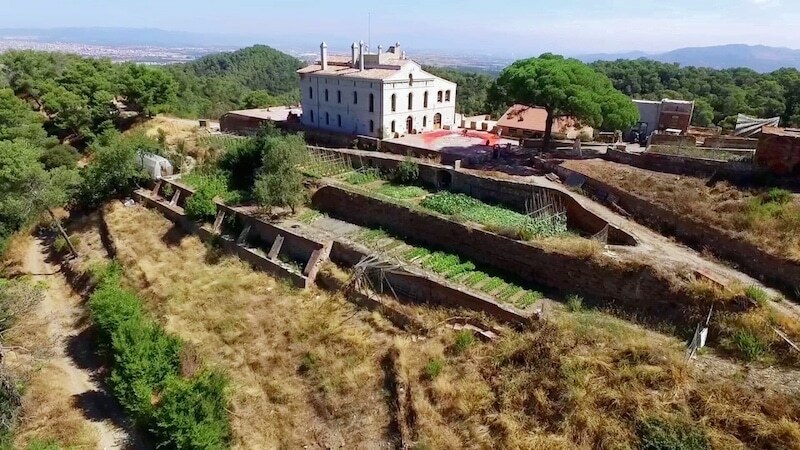 Located in the Collserola Natural Park, in the heart of the metropolitan area of Barcelona, it has laboratories for the production of energy, food and things. 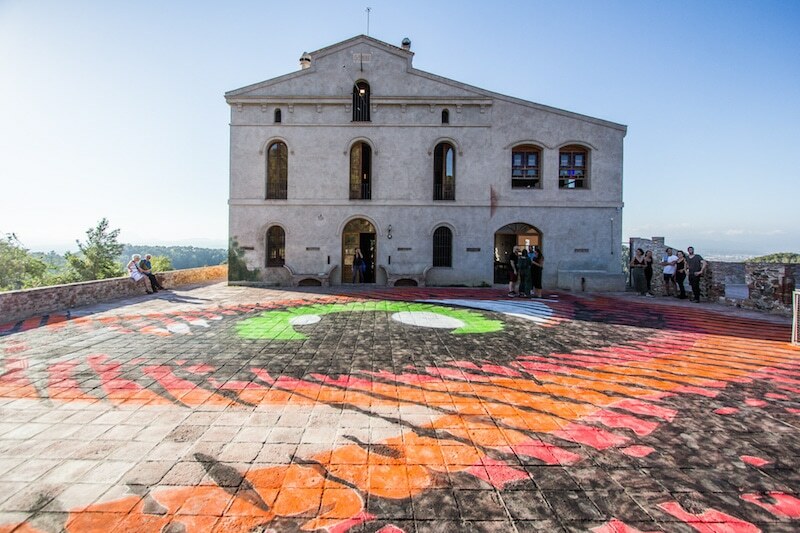 The Green Fab Lab offers an opportunity to learn directly from nature in order to bring that understanding to the regeneration of 21st-century cities.